hi hi hi. So since I have such a lipbalm obsession I thought I would start trying different ones and giving you my personal opinion on them. 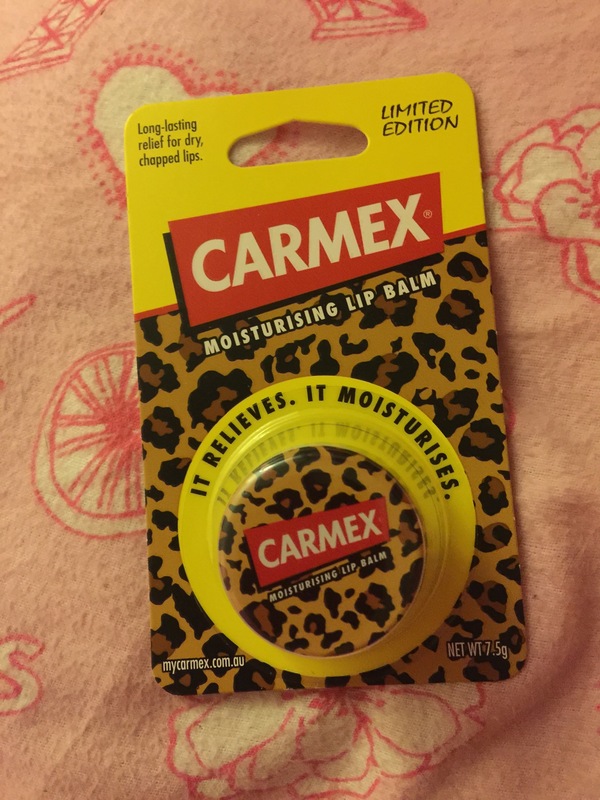 Carmex lipbalm this says its limited edition but that’s just the hole leopard print thing. Carmax although not my favorite lipbalm out there it is my go to when my lips are really really sore (like after o night of drinking hehe). I always have one of these around. The feeling it gives when your lips are really sore for some reason I love!. It’s not my altime favorite eos but I use it when my lips are really sore. 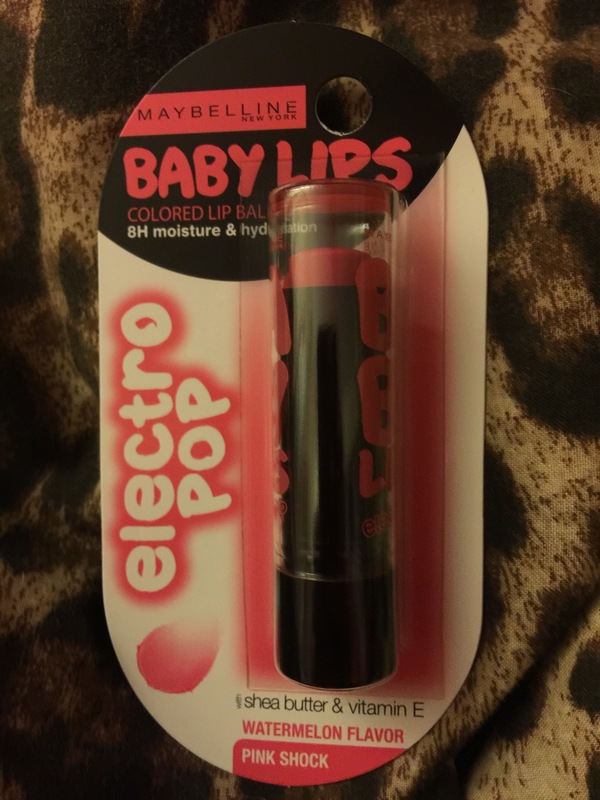 Baby lips electro pop tinted lipbalms always remind me of primary/high school haha when we use to use it to feel more ‘adult’ then again back then girls didn’t wear much makeup to school and now they seem to do it all the time. I tent to use these type of of lipbalm when I go out Because after a few drinks I don’t trust my self to put lipstick on with out getting it all over my face essential tremor + wine + no mirror = clown face. Next Post My 30th week vlog!